Buy 2, Get 1 FREE! Rep your American pride all year round! 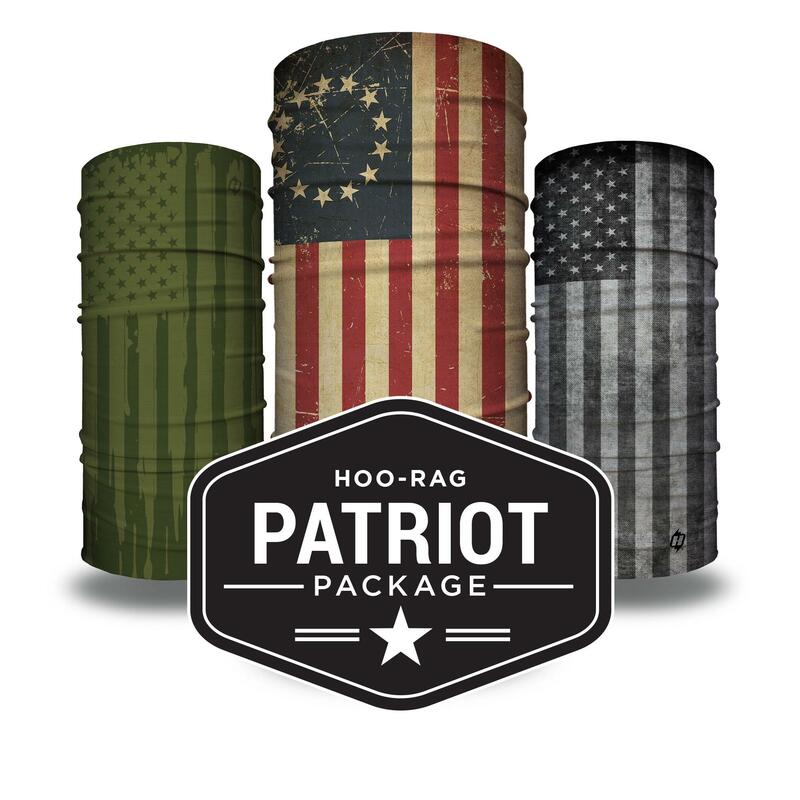 This package includes three of our favorite, and most popular, American Flag Hoo-rags: The Revolution, American Ink OD Green and ‘Merica Flag Bandana. 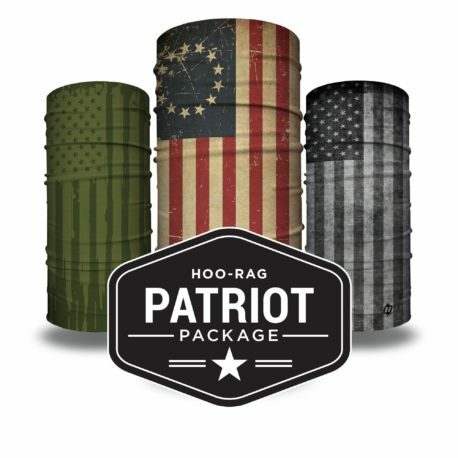 I got my Hoorag Patriot pack love them!!! Took a little longer than posted to arrive at my door, but the product is soft and flexible and the patriot pack is a good deal. Plan to use these for bike riding, and off-roading! Love my rag, Betsy Ross flag look fantastic and rustic. Perfect for yard work, allergies protection and a multitude of other uses. Only thing I would do different is put an embroidered border on wash end so it doesn’t curl but other than that fantastic product for all environments. Got the patriot package and the yellow don’t tread on me hoo rags, they fit great and look great. Can’t wait to wear them again on my next hike in the Smokey Mountains. 3 HIIT days… 3 hoo rags. And buy 2 get 1 free savings! Perfect! The “pirate” and “facepalm” are great ways to wear them for keeping the sweat out of the eyes/face. Perfect for military. Amazing product. Perfect fit. Used it while snowboarding…definitely will buy agian! Awesome!… My husband and I love them, perfect fit for both of us. How awesome these babies are?.. The Best !! !, perfect fit for both sexes, my husband and I love them. Great products. Super quick shipping and they threw in a free Christmas hoorag. We’ve made many purchases and they never disappoint. The patriot package is a great deal. Awesome product. I use them to keep from getting sunburned doing yard work. They are lightweight and comfortable. My son loves these! Everyone asks where he got them…getting Hoo-Rag more business!! Basically buy 2 get 1 free, They were great to have for Camp RZR, New England, Kept the dust out, kept my lips from getting all chapped, and when nightfall came they helped keep your warmer. So good that Polaris had 1000’s of custom marketed Hoo-rags and everyone was asking where to get the ones I had. This is a great product and I was extremely excited to get this package. I wish you did them all in that blue gray cause I would buy them that way. I am looking forward to other products you have out. I wear these while out riding my motorcycle. 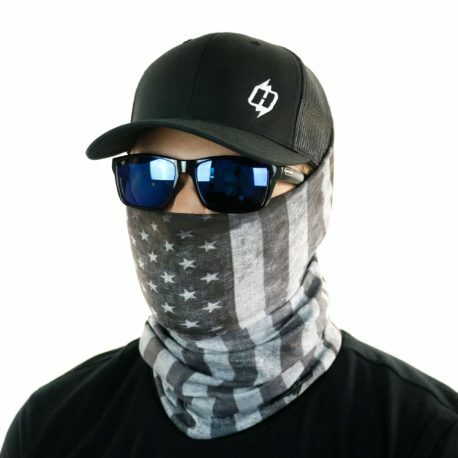 Helps break down on the wind when it’s cold and keeps the rain from razor blading your skin. Many of compliments on them and asked where I got them from. Awesome product. Loved the package. Took these on a trip to Glacier NP in Montana. Served to help keep the mosquito pests at bay. Changing the configuration allowed me to keep my ears warm durning the early mornings. Exactly what I was looking for. Good quality product. They look and perform great. Would highly recommend. This is an awesome set. The colors are amazing.